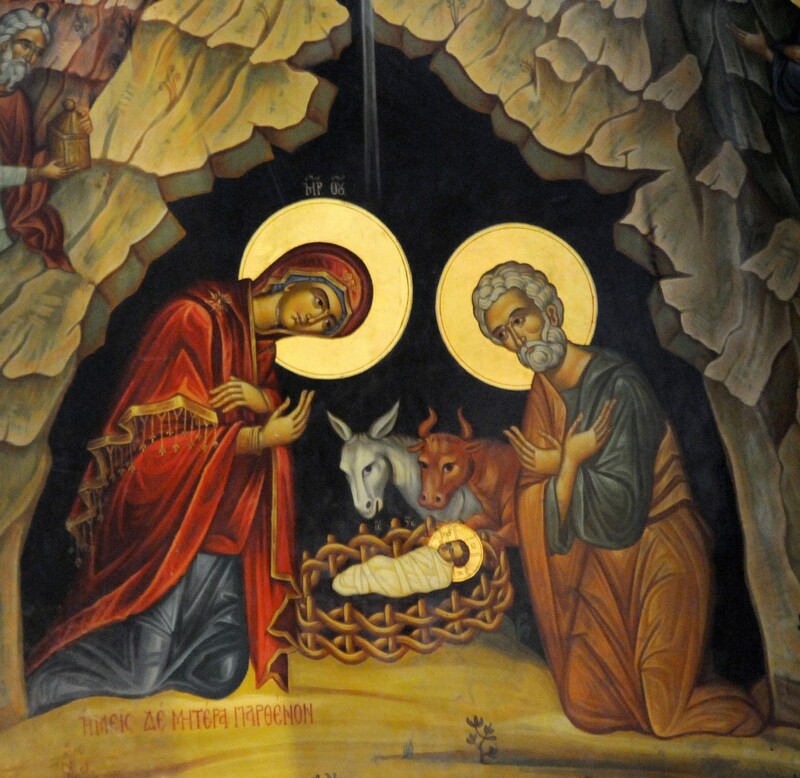 Jesus was born in Bethlehem. His name means God saves. Another name is Emmanuel which means God with us. 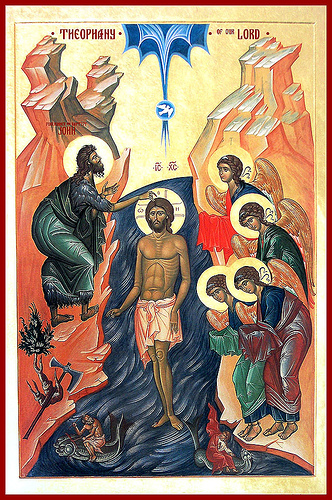 Jesus was baptised by John the Baptist in the River Jordan. 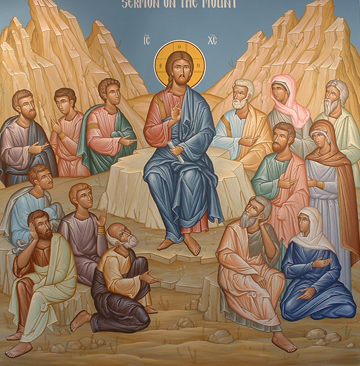 A voice was heard that said 'This is my Son, my beloved, with whom I am well pleased.' Then Jesus was compelled into the wilderness by the Holy Spirit. He was tested and honed in the wilderness. He returned to Galilee and called people to follow him. Jesus travelled around Galilee and spoke about the Kingdom of God. Large crowds came to listen to him. Crowds and individuals came to Jesus to be healed. He healed them and forgave people their sins. Lives were changed when people met Jesus. The time came for Jesus to turn towards Jerusalem. Peter identifed Jesus as the Messiah and Jesus was bathed in God's glory. 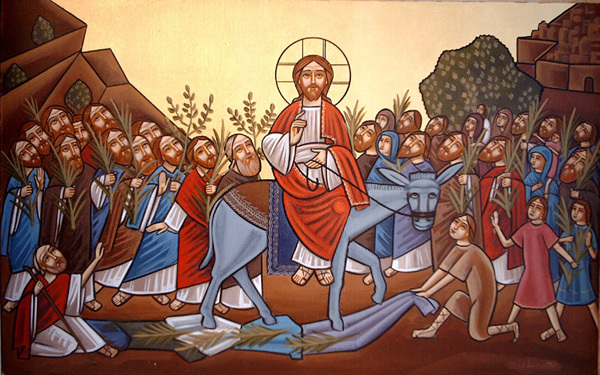 Jesus entered Jerusalem followed by his disciples. The people welcomed him but some wished to see him dead. 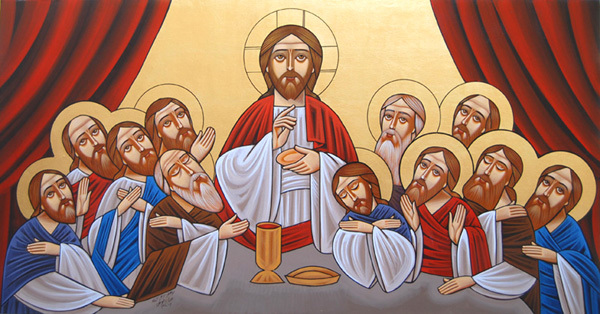 Jesus shared a meal with his friends giving them bread and wine to remember him. He went out to the Garden of Gethsemane to pray. 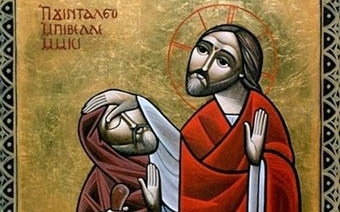 He was betrayed to the authorities by Judas, one of his friends and followers. Jesus was arrested by the religious authorities, condemned by the Roman Governor Pontius Pilate and crucifed at Calvary. 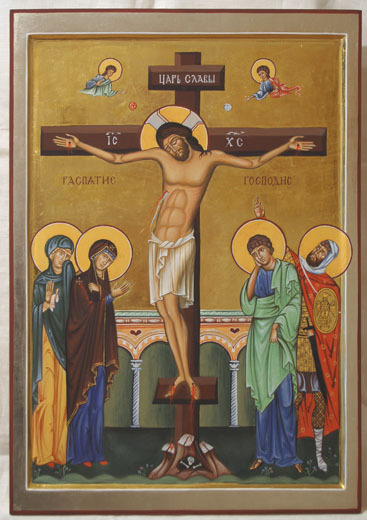 His body hung on the cross for three hours and then he died. 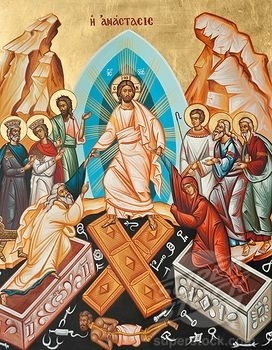 His body was taken down and put in a nearby garden tomb and three days later he rose from the dead. 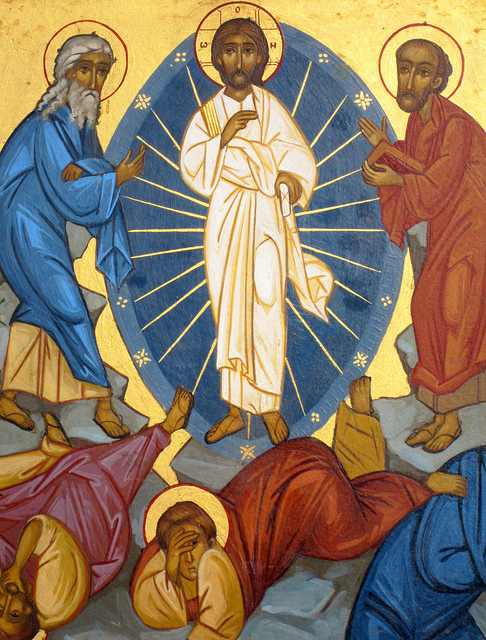 The risen Jesus appeared to his followers many times and he spent 40 days teaching them and preparing them for his departure. 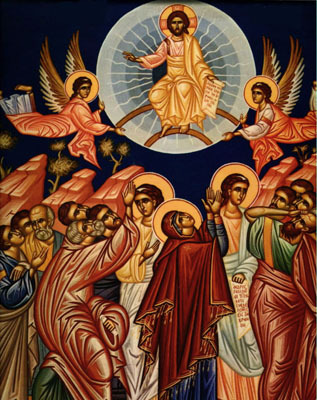 He then ascended to be with God the Father. 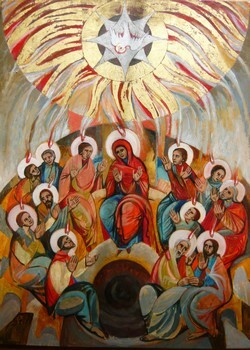 The followers of Jesus waited in the city until the promised Holy Spirit came to them on the day of Pentecost. From that moment on their mission was to share Jesus, his life, death and resurrection.